Bell ringing is a team activity that can be enjoyed by people of all ages and sizes. At St James we have 6 bells, with the biggest one weighing in at just under 7 hundredweight (we still measure bell weights in the old fashion way). At the moment we have 9 bellringers who practice on Thursday evening from 18:30 to 20:00. 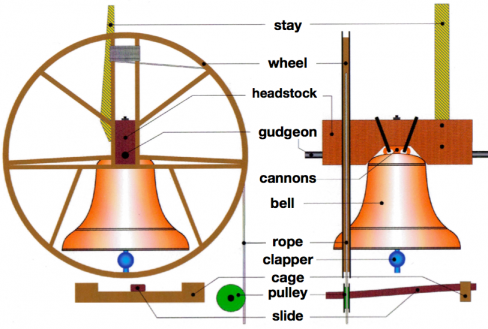 To be a bell ringer you don’t have to be musical or mathematical (the methods we use are based on number patterns) just willing to try out something new. We ring on Sundays and for weddings and church festivals. If you would like to know more contact Deborah Thorley on 01535 631 382.